The Granite rattan chair is great for outdoor casual dining. 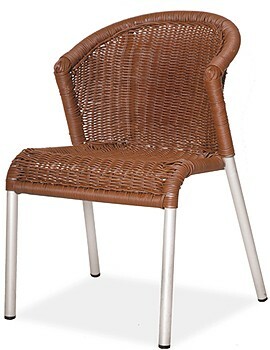 Synthetic rattan and a welded aluminum frame with a curved back support, ensures comfort and durability. Get a FREE Quote on This Product!